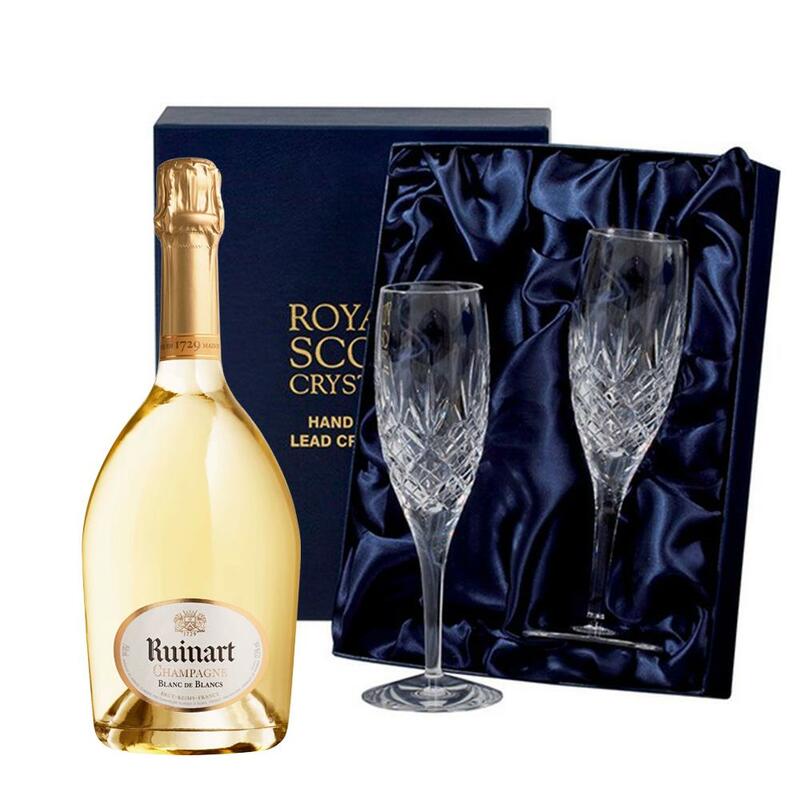 A bottle of Ruinart Blanc de Blanc Champagne 75cl packed with 2 Royal Scot Presentation Boxed Edinburgh Champagne Flutes A pair of beautiful hand cut lead crystal Flutes, inspired by the great tradition of the City of Edinburgh. A City which has created a legend out of glass for over four centuries. Ruinart Blanc de Blanc Champagne made in the pure Ruinart Champagne tradition exclusively from the Chardonnay grape Ruinart Blanc de Blancs non vintage champagne reflects perfect harmony. Striking luminosity is enhanced by the clear glass bottle a replica from the 18th Century. This product is hand packed onsite by Champers Direct, and is not affiliated with any other brand. Champers Direct is responsible for this product combination/set.